It seems to be the rare kitchen renovation that doesn’t involve the removal of walls. 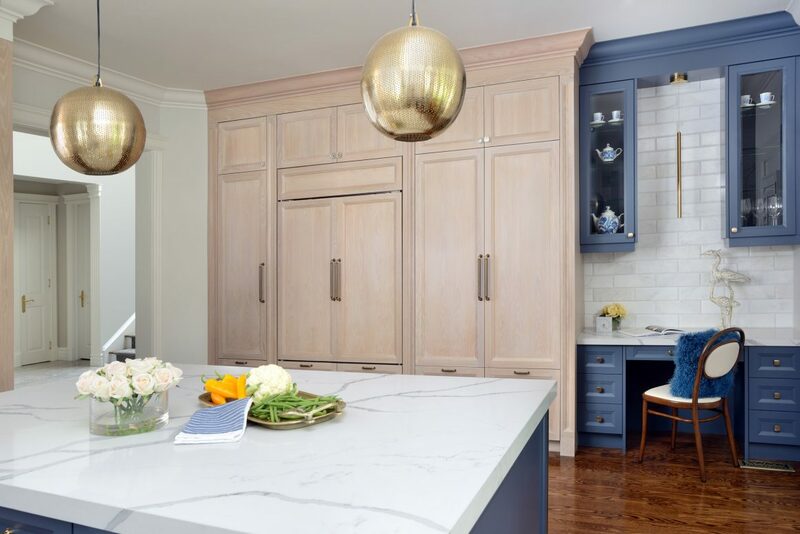 This kitchen is one of those rarities, illustrating what can be done within its existing 350-square-foot bounds. 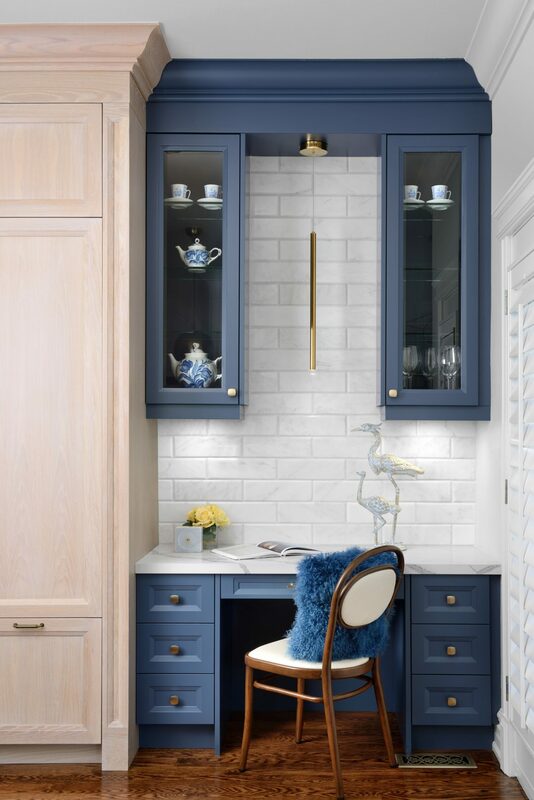 The cabinetry is by Dvira Interiors and uses three finishes: a classic Benjamin Moore white paint (White Dove – OC17), a rich blue by Benjamin Moore (Newburyport Blue – HC155), and bleached white oak, which is a cool counterpoint to the walnut-stained oak floor. 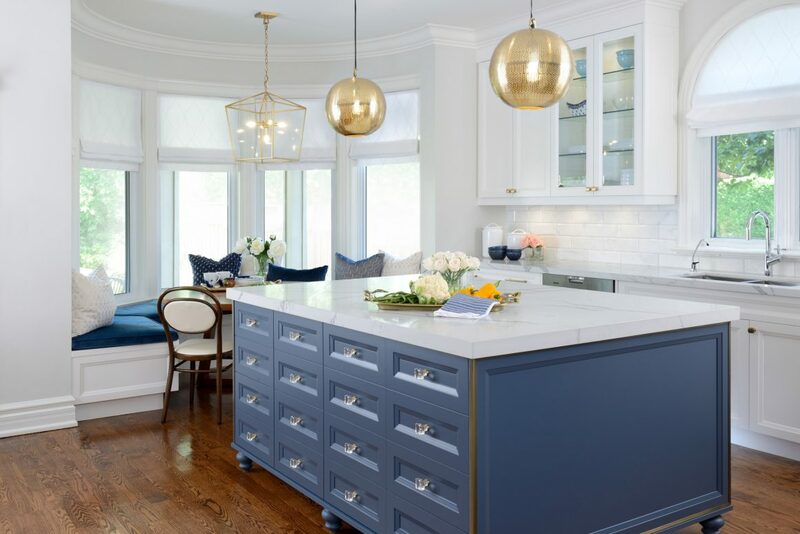 After five years of living in her traditional-style home, the homeowner was dissatisfied with the look and functionality of the kitchen, but a move to open-concept living was not in her plans. 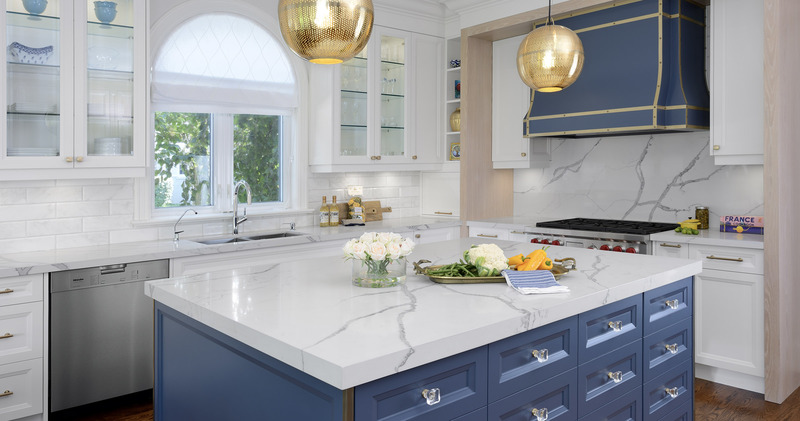 “She wanted to keep the enclosed kitchen that was separated from the rest of the space, so we kept the integrity of the footprint without having to take down walls,” says Dvira Ovadia, principal designer of Dvira Interiors, who masterminded the kitchen’s redesign. The house is fairly large, and the homeowner could afford the luxury of separate spaces for various household functions. The new kitchen remains a room, a cozy space where children gather while their mother cooks and, as in most kitchens, plenty of family life takes place. 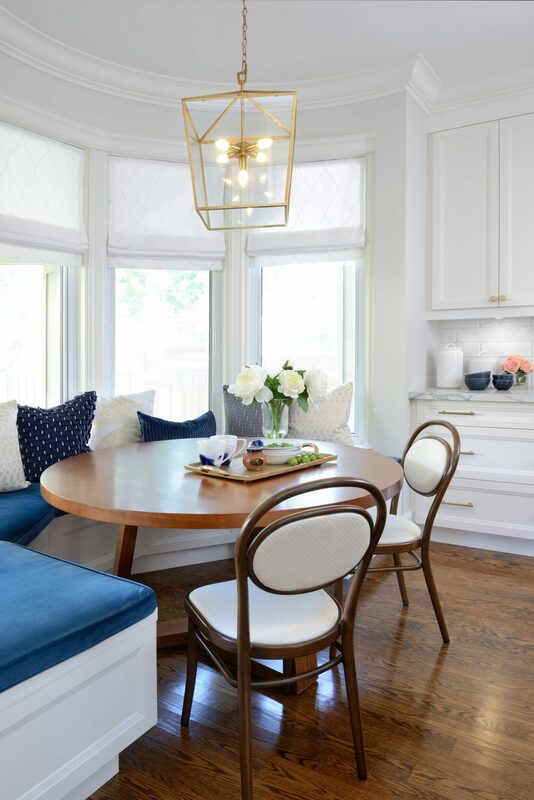 The homeowner’s original idea had been essentially a redecoration and updating of the space, but Ovadia persuaded her to rethink the project. 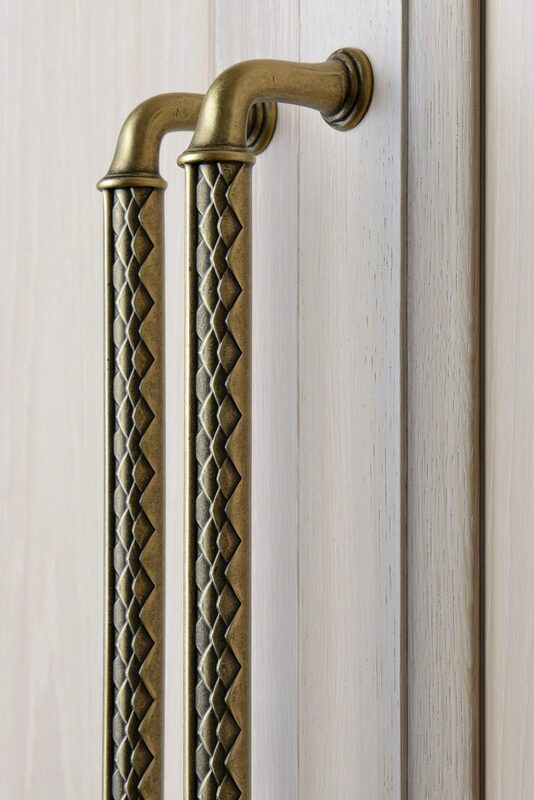 “The layout of appliances was quite awkward,” Ovadia says. “It originally had a cooktop on the island with a non-functioning downdraft. This took away a lot of prep space, which is not ideal. 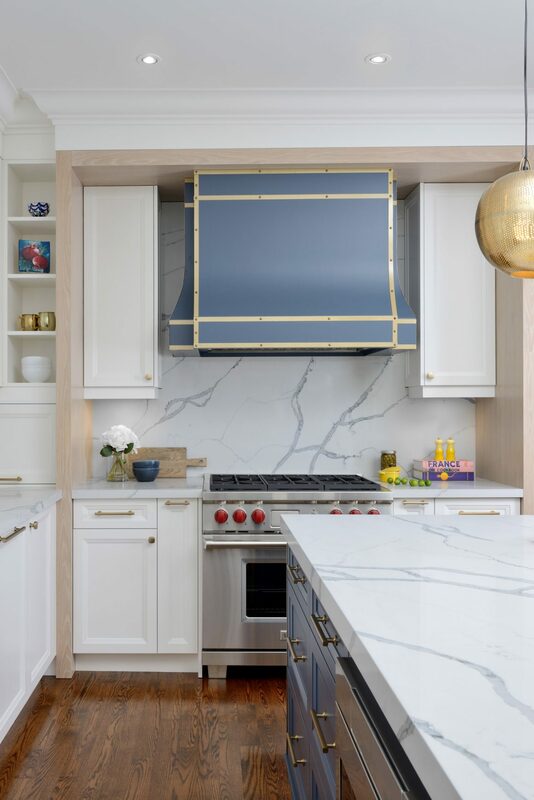 It’s nice to have the island clear and free.” The problem was compounded by the fact that a hood vent to replace the downdraft would be far too intrusive in the middle of the room. “We had to convince the client that it was a poor layout that didn’t maximize the space,” says Ovadia. 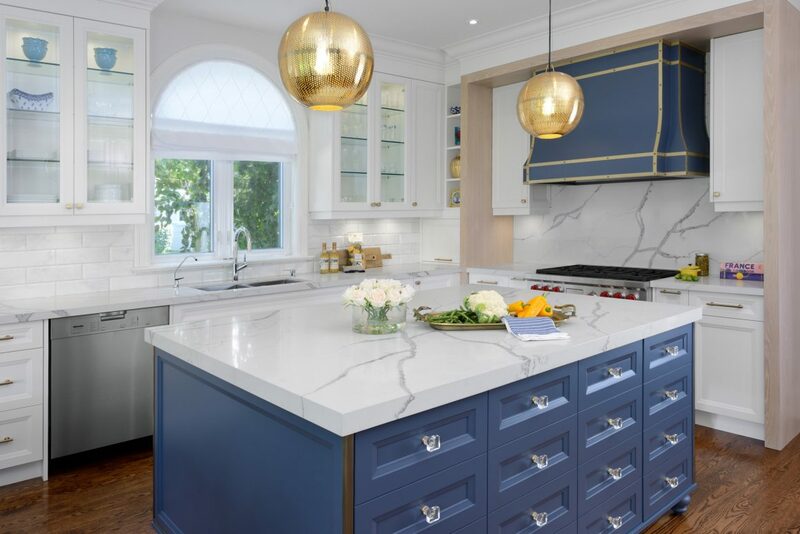 “This kind of change requires getting someone out of their comfort zone.” Once the designer was able to demonstrate that the cooktop had to be relocated away from the centre island, and that it wouldn’t shift too many architectural elements, the homeowner was a convert. The room’s outline has stayed the same, but nearly everything else in the renovated kitchen has changed. Ovadia moved all the appliances around. The fridges are now in the pantry wall, which is farther away from the main cooking area but offers room for large appliances. The wall ovens and small island cooktop are gone, replaced by a single 36-inch-wide Wolf range that sits where the fridges and wall ovens used to be, making room for ample storage in the island. And above that range is a custom-made hood fan. 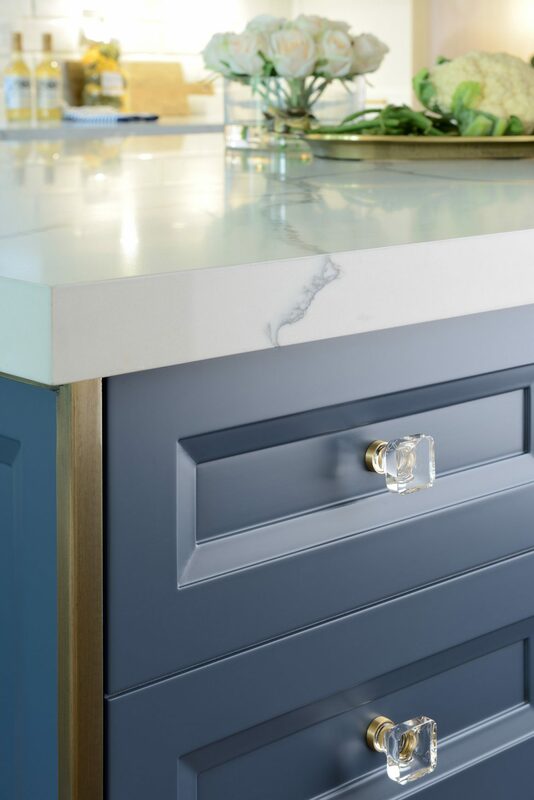 “The hood was desired by the client to be the focal point,” says Ovadia. “She wanted an accent, something unique. 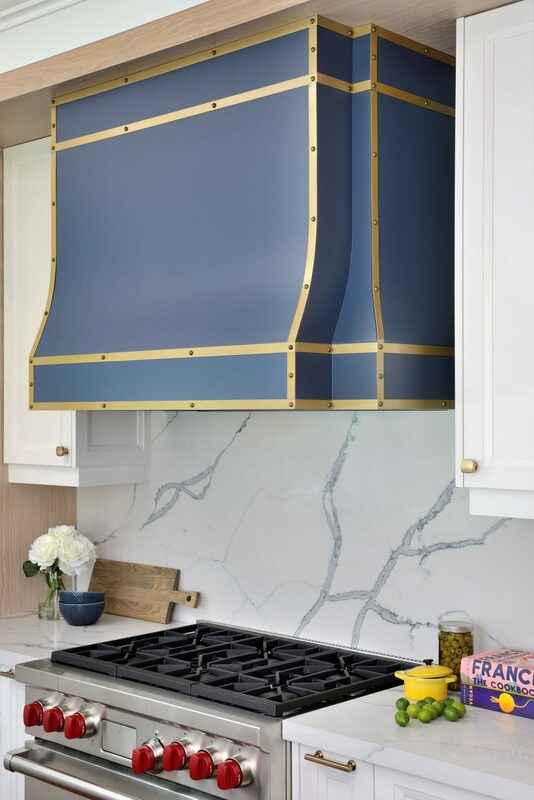 She saw a project that I had done and really loved the brass details.” Those details are echoed in such small touches around the room as the edge trim on the island and the pendant lamps over the island and the chef’s desk.